You acknowledge that all content and materials available on this Site, including the selection, coordination, arrangement and enhancement of such content as well as content original to it are protected by national and international copyrights, trademarks, service marks, patents, patent registration rights, trade secrets, know-how or other proprietary rights and laws and are owned by Hosting or our licensors or Hosting has obtained the necessary permission of the owner of the intellectual property in such content to use the content on our Site. Unless otherwise indicated, all logos, names, package designs and marks on the Site are trademarks or service marks of, or used under license by, Hosting. The use or misuse of any of these materials is strictly prohibited. Hosting, our licensors or associates retain exclusive ownership of all data, material and other information regarding your use of the Site. You agree to use the Site or its contents for lawful purposes and only as expressly permitted in this Terms of Service and for no other purpose. Except where otherwise noted, you may download, print or view individual pages for noncommercial use only, provided you do not delete or change any of the information, including copyright or trademark notices. Except as otherwise permitted herein and as we may expressly authorize, you agree not to sell, license, rent, modify, distribute, copy, reproduce, transmit, publicly display, publicly perform, publish, adapt, edit or create derivative works from the content or materials on the Site or otherwise in any way exploit any of the content of the Site, in whole or in part. Systematic retrieval of data or other content from the Site to create or compile, directly or indirectly, a collection, compilation, database or directory in any form whatsoever without our written permission is strictly prohibited. You agree that you will not post or transmit through the Site any material which violates or infringes in any way upon the rights of others, which is unlawful, threatening, abusive, defamatory, invasive of privacy or publicity rights, vulgar, obscene, profane or otherwise objectionable, which encourages conduct that would constitute a criminal offense, give rise to civil liability or otherwise violate any law, or which, without Hosting’s express prior approval, contains advertising or any solicitation with respect to products or services. You also agree not to post any material protected by copyright, trademark or other proprietary rights without the express permission of the owner of the copyright, trademark or other proprietary rights and the burden of determining that any material is not protected by copyright rests with you. Any conduct by you that in our discretion restricts or inhibits any other user from using or enjoying Hosting will not be permitted. By posting or submitting content to the Site, you grant Hosting and its worldwide licensees the right to use, reproduce, display, perform, adapt, modify, distribute and promote the content in any form, anywhere and for any purpose. You also warrant and represent that you own or otherwise control all of the rights to the content you post or submit to the Site and that our public posting and use of your content will not infringe or violate the rights of any third party. 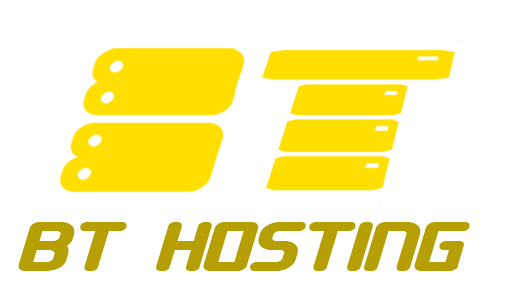 Hosting retains the right to monitor, edit or otherwise change your posting or other content submitted to the Site without your permission. DISCLAIMER OF WARRANTIES YOU EXPRESSLY AGREE THAT ALL MATERIALS, INFORMATION, SOFTWARE, PRODUCTS, AND SERVICES INCLUDED IN OR AVAILABLE THROUGH THE SITE (THE “CONTENT”) ARE PROVIDED “AS IS” AND “AS AVAILABLE” FOR YOUR USE AND THAT YOU USE THIS SITE AND ANY CONTENT YOU CHOOSE TO DOWNLOAD AT YOUR SOLE RISK. Hosting DOES NOT IN ANY WAY WARRANT, EITHER EXPRESSLY OR BY IMPLICATION, INCLUDING, BUT NOT LIMITED TO, WARRANTIES OF TITLE, NON-INFRINGEMENT OR IMPLIED WARRANTIES OF MERCHANTABILITY OR FITNESS FOR A PARTICULAR PURPOSE OR OTHERWISE, OTHER THAN THOSE WARRANTIES WHICH ARE INCAPABLE OF EXCLUSION, RESTRICTION OR MODIFICATION UNDER APPLICABLE LAW. NEITHER Hosting, NOR ITS PARTNERS, AND THEIR RESPECTIVE EMPLOYEES, OFFICERS, DIRECTORS, SHAREHOLDERS, AGENTS, CONSULTANTS, CONTRACTORS OR LICENSORS, MAKE ANY WARRANTY THAT THE CONTENT OF THE SITE OR ANY SERVICE OR MERCHANDISE PROVIDED THROUGH IT, IS ACCURATE, RELIABLE OR CORRECT; THAT THE SITE OR ANY LINKED SITE, WILL BE AVAILABLE AT ANY PARTICULAR TIME OR LOCATION; THAT ANY DEFECTS OR ERRORS WILL BE CORRECTED; THAT THE CONTENT IS FREE OF VIRUSES OR OTHER HARMFUL COMPONENTS; OR THAT YOU WILL ACHIEVE SUCCESSFUL RESULTS FROM FOLLOWING ANY INSTRUCTIONS, DIRECTIONS OR RECOMMENDATIONS ON THE SITE. UNDER NO CIRCUMSTANCES SHALL Hosting, NOR ITS PARTNERS, AND THEIR RESPECTIVE EMPLOYEES, OFFICERS, DIRECTORS, SHAREHOLDERS, AGENTS, CONSULTANTS, CONTRACTORS OR LICENSORS, BE LIABLE FOR ANY DAMAGES IN LAW OR IN EQUITY, INCLUDING WITHOUT LIMITATION DIRECT, INDIRECT, PUNITIVE, INCIDENTAL, SPECIAL OR CONSEQUENTIAL DAMAGES THAT RESULT FROM THE USE OF, OR INABILITY TO USE, THE SITE OR FROM INFORMATION PROVIDED ON THE SITE OR FROM ANY FAILURE OF PERFORMANCE, ERROR, OMISSION, INTERRUPTION, DELETION, DEFECT, DELAY IN OPERATION OR TRANSMISSION, COMPUTER VIRUS, COMMUNICATION LINE FAILURE, THEFT OR DESTRUCTION OR UNAUTHORIZED ACCESS TO, ALTERATION OF, OR USE OF RECORD, AND THE RISK OF ANY INJURY FROM THE FOREGOING RESTS ENTIRELY WITH YOU. THIS LIMITATION APPLIES WHETHER THE ALLEGED LIABILITY IS BASED ON CONTRACT, TORT, NEGLIGENCE, STRICT LIABILITY OR ANY OTHER BASIS INCLUDING ANY DEFAMATORY, OFFENSIVE OR ILLEGAL CONDUCT OF OTHER USERS OR THIRD PARTIES, EVEN IF WE HAVE BEEN ADVISED OF THE POSSIBILITY OF SUCH DAMAGE BECAUSE SOME JURISDICTIONS DO NOT ALLOW THE EXCLUSION OR LIMITATION OF INCIDENTAL OR CONSEQUENTIAL DAMAGES. OUR LIABILITY IN SUCH JURISDICTIONS SHALL BE LIMITED TO THE EXTENT PERMITTED BY LAW. You agree to defend, indemnify, and hold Hosting and its partners and their respective employees, officers, directors, shareholders, agents, consultants and licensees harmless from and against any and all liabilities, claims and expenses, including attorney’s fees, that arise from your use or misuse of the Site or the Content therein, including without limitation your violation of the Terms of Service herein. We reserve the right, at our own expense, to assume the exclusive defense and control of any matter otherwise subject to indemnification by you, in which event you will cooperate with us in asserting any available defenses. By choosing to access the Site from any location other than Panama, you accept full responsibility for compliance with all local laws that are applicable. Hosting makes no representation that materials on the Site are appropriate or available for use in locations outside Panama, and accessing them from territories where their contents are illegal is prohibited. You agree to use the Site only for authorized and legal activities. Hosting reserves the right, in our sole discretion, to terminate your access to all or part of the Site, with or without notice and for any reason whatsoever.